The smart contract pack that fixes many of the issues in stock career mission progression. I only play Career mode in KSP because I need to have a direction, a mission, a plan. The contracts give me something to do so I can plan my missions around them. However, I have not played stock career mode since my first career. Thanks to @nightingale and his Contract Configurator mod, I haven't had to. There are amazing mod packs created by @nightingale, @severedsolo, @inigma, @Yemo and many many more. The issue I had with all of these modpacks is that they work together to some degree, but the do not necessarily progress logically because they are all from separate packs. WHAT IS THE CAREER EVOLUTION? It is a Contract Pack that takes the player from uncrewed launches like sounding rockets, to the first satellite into crewed launches that explore the solar system. There are contracts for uncrewed exploration of the solar system as well as crewed exploration that includes space stations, surface bases and more. It uses a logical progression so you will explore your nearest planetary neighbors before getting contracts for the rest of the solar system. You crawl before you can walk before you can run. These contracts support all modpacks where the HomeWorld is the 3rd planet from the Sun. This means Stock, and stock resizes, RSS, all RSS resizes as well. This currently does NOT support Galileo's Planet Pack but I am looking at ways to remedy that. I HIGHLY recommend Stock with Outer Planets Mod by @CaptRobau or one of the RSS variants. The contracts are designed to take advantage of the extra planets. This sounds amazing. I too only play in career, and have been somewhat frustrated at having to use a mashup of different contract packs. Not to mention that most of them are not updated to 1.3 and constantly spam the log. Can't wait to try this out in a fresh career. Holy Snacks! Congrats on the release! Compatibility with GPP would be awesome. Let us know if there's anything we can do to make it easier for you. I have a couple of ideas. Can you test if I send them to you? Ya feel free. To make it easier, do you maybe want to make a GPP branch on your github so that instead of having to pm me a dl link every time you make a change, you can just push stuff to git? I've just fired up the pack, and the first thing that jumps out at me, is that you are not disabling any stock contracts. Is that intentional? Straight away, I'm seeing overlap between the stock exploration contracts and the "First Flight" mission. Edit; answered my own question, clearly yes as the rewards are tiny. This looks great; I'll keep it on my radar for my next career save. Any compatibility with life support and/or end-game mods--MKS, Interstellar, etc? Hmmm.. I've only just discovered this and it looks awesome for the same reasons you created it. I only just started using OPM too. I'm actually thinking about abandoning my career game to restart with this pack. I'm currently playing with the following contract packs and they seem to mostly work fine. Would you have any advice on which packs would be good to keep active (if any) while still not having too much overlap with the missions in the Career Evolution pack? I figure the following four might be good to keep as it "looks" like they aren't covered. You are correct in your thinking about which Contract Packs to keep alongside. Also, you should be able to use ScanSAT as that support is not really implemented in my pack as well. It has "some" support with all of the major life support mods with some of the Space Station Missions. It should work well with late game mods since there are missions to land on places that are very far away from the home planet. 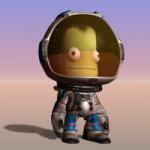 The CEContracts folder is in /GameData/ContractPacks, with CC 1.23.1 for KSP 1.3. @Rodger - Looks like there's an incompatibiity with Sigma Binary do to a change in KSP 1.3.0 (actually, I suspect it broke in 1.2.0, so not sure why it hasn't been caught before now). I've fixed it for the next release. I have been using this for a while and it is a heart mod for carer mode! add add a branch with missions that require some more skill like landing on the launchpad after, flight, suborbital flight and orbit. If I may ask, what caused the issue? Well, let me be more specific - the issue is with some code in Contract Configurator that only executes if Sigma Binary is installed (ie. the detection of what is a planet/moon when barycenters are in play). The specific problem is it's using a stock KSP function ListExtension.MaxAt, which got broke (I suspect in the 1.2.0 refactor). The best part is that although it's technically a KSP bug, the function isn't used in stock KSP, so the only way to trigger the problem is with a lazy modder. One <CONTRACT PACK> to rule them all, One <CONTRACT PACK> to find them; One <CONTRACT PACK> to bring them all and in the darkness bind them. This is fixed for the next release version. If you want, you can get the DEV version from Github and it will fix it as well. Posted this in the Beta thread yesterday before I realising it should have gone here. I recently started playing a career game using this mod and I have a problem with a contract to return science from the Mun to Kerbin. Here are a couple of screenshots to help explain the issue. In the first one taken while my vehicle is on the surface, I have a green tick against "Situation Landed". 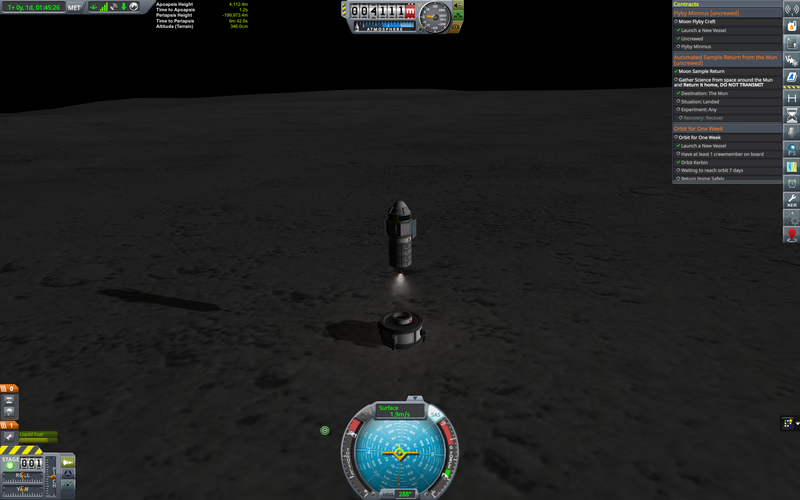 However when I lift off to return the science to Kerbin (the second image) the green tick is removed. My question is does the "Situation Landed" tick box get ticked against once I am landed back on Kerbin... feeling like this is a stupid question, but I thought I'd check before heading back to Kerbin. I have an update... I decided to return the sample vehicle to Kerbin and the result was that the contract was not completed. I'm now at a loss as to what is required to satisfy this contract, so any help would be appreciated. 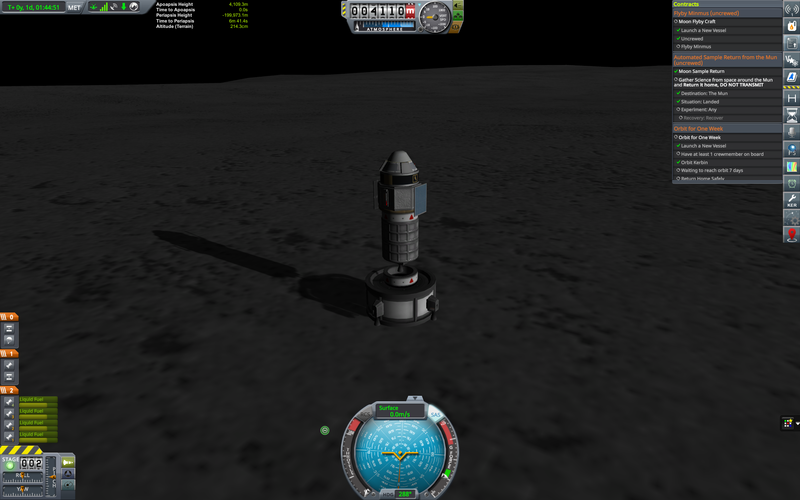 @purpleivan did you return the whole thing or did you leave some pieces back on the mun? 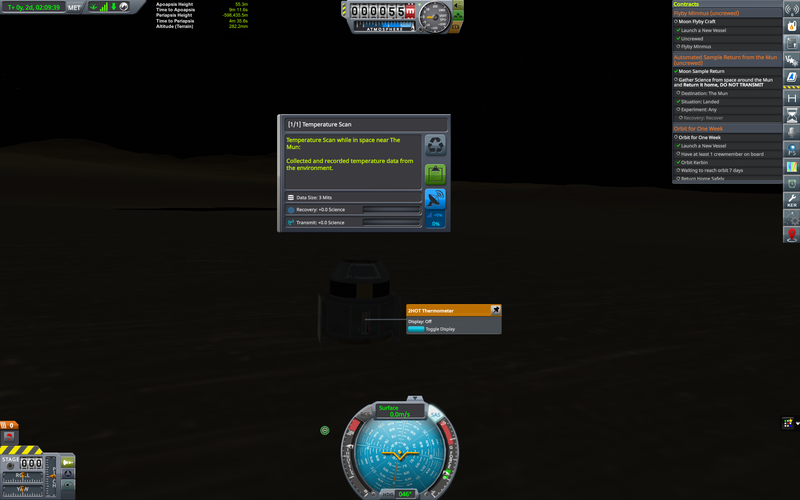 is it possible that you left the science report in some piece of equipment that didn't return to kerbin?